Majid and Fred are as close as brothers but behind behind Majid’s show of brotherly love and concern lurks a sinister nature. Majid comes to live with Fred after a sojourn in Span. He comes back broke, with a hustler mentality and in no time at all he has already set Fred up to be robbed. Fred is engaged to Stacey but when he meets a beautiful girl in a wheelchair who helps him out in a life or death situation they form a strong friendship and consequently fall madly in love. She would prefer them to marry to “save face” in front of others than look at the fact that her daughter has had a lucky escape from marrying a man that could abandon her in the future. Stacey goes to go and tell her parents that she is going to get married and gives them an invite at the same time. Wouldn’t any decent daughter have mentioned the fact to her parents BEFORE making concrete plans and printing off wedding invitations? Friendship is about give and take. Fred takes Majid into his home and supports him in his time of need but when the tables are turned Majid is not willing to support his friend and turns his back on him. We see from the beginning that Majid is not a true friend but what is the reason why he behaves the way that he does? He treats Fred more like an enemy. There is nothing to clue us in on this. Why? Mara supposedly has kidney failure and is in a wheelchair not because her legs don’t work but because she is weak but then she is able to go horse riding. She can barely haul herself onto the bed from the wheelchair when she is about to make love with Fred. Would it not have made sense for her to have just walked the three steps to the bed since she clearly is not THAT weak? Why? Fred is burnt and OMG do the burns look sooo fake! He looks like he has been placed in a toaster with stuck on sores. Reminded me of the black and white Minstrel days when white men would do black face. This was like a yellow man doing brownface! Why? A lot of the dialogue sounded like Shakespeare being performed on the big stage, which was kind of weird and sort of inappropriate considering it was a modern day movie. The story started off really well and then it descended into nonsensical chaos which was quite disappointing. In the movie Majid had always been horrible to Mara or ignored her existence when she used to visit Fred at the house so it did not make sense to me that just out of the blue we see him helping Mara and walking her out of the hospital. Huh when did this happen? The last we saw he was rude to her and had abandoned her boyfriend in his time of need. The next ridiculous thing that happened was Majid claiming to be in love with Mara. Huh? When did this happen? Where was the build up? We never even saw ONE lingering look… NOTHING! Even more ridiculous was Mara supposedly falling in love with him too! Chineke! Does Majid really love Mara? Or is he using her? Why did Majid set Fred up? Why does Maria feel so used by Majid? What is their story? I would recommend this movie because on the whole it was wholly entertaining, even the ridiculous parts and Jim Iyke’s thugisms. 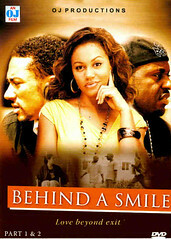 Major kudos to Majid Michel and Adaorah Ukoh, they were the standouts for me. Adaroah Ukoh is wholly underrated as an actress. She needs to be getting bigger and better roles. I have never seen her fluff up a role I don’t know why she isn’t in more movies and as lead. I did think that by the end of the movie the questions that I had throughout would be answered and to my disappointment they were not. This is where the movie fell down for me. What was the motive behind the characters acting the way that they did? There were so many untied ends. It was as if halfway through the movie focus was just lost. i enjoyed it…though it became too far-fetched wit all d kidney n bone marrow matches…but in general, it was a feel gud movie…d gud winnin over d bad. cheers! Yeah it definitely got more and more ridiculous as it went on! Yup I realised that about 3 Virgins… Its simple… 419! to get people to think its a new movie and buy… even if they have watched Picture Perfect they will buy thinking it is a new movie! This dude Fred needs to be cloned ASAP. Apparently his organs are a match for anyone who needs parts. He is a bigger spare parts dealer than all the igbo guys in Alaba market put together. Need a kidney? Call Fred. Bone Marrow? Fred is your guy. He is the biggest medical breakthrough since penicillin. LMAOOO You never fail to make me laugh!